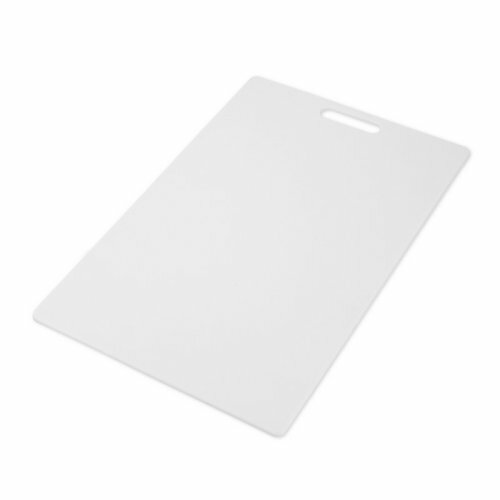 This cutting board is made of BPA-free, polypropylene (poly), is gentle on knives, is non-absorbent, non-porous, and will not harbor odors, stains or harmful bacteria. Ideal for cutting, slicing and chopping meats, poultry, fish and vegetables. Measuring 12-inch by 18-inch, this board is reversible for double the cutting surface and features a handhold for added control and stability. This cutting board is dishwasher safe for easy cleanup and trouble-free maintenance.